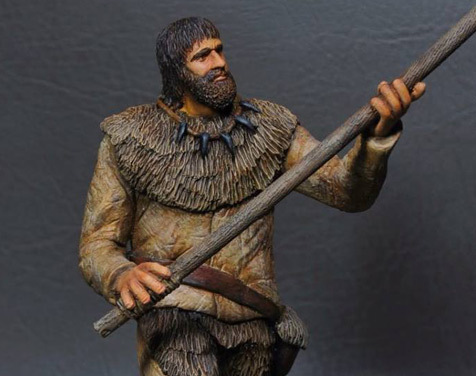 Arctodus short faced bear vs. Clovis hunter! Limited run of only 30 castings. Kit $230 plus $20 shipping on US orders only, contact artist for shipping costs outside the US. Man figure stands 7"tall and Bear stands 13" tall. Includes base.